This small boutique lodge offers spacious rooms, a lovely guest lounge area and a fully equipped kitchen. 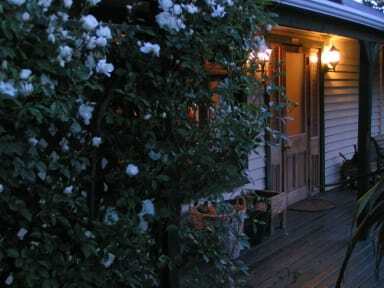 Jack In The Green Backpackers has just 7 rooms, some with a private en suite bathroom. All rooms have comfortable beds (not bunk beds), spare blankets and heaters. Rooms in the garden chalets offer you some extra privacy. Our family room is ideal for parents travelling with either 1 or 2 children. Facilities include free off-street parking, a large peaceful garden with picnic benches, sun-facing verandas and a patio with BBQ. Fast wireless internet access is available. The spacious lounge room features a log burning fireplace and comfortable sofas. Free tea, coffee and hot chocolate are provided. It is a 10-minute walk to local restaurants, cafes and bars. I will come back to stay again. Great place to stay. Very clean and tidy with a friendly atmosphere. 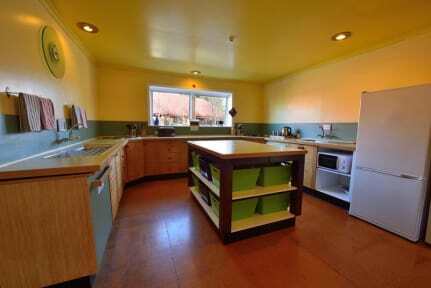 Great cooking facilities. Our only criticism was that the walls between the rooms were not sound proof. Rich was very friendly and accomodating to our late arrival ! We had a really lovely stay at Jack In The Green. The staff were helpful and friendly, the hostel itself was very clean, quiet, and relaxing to be in. I would definitely go there again. Very friendly staff. Old but clean and well organized. We had a private room but the next room from us was very noisy, not the staff fault obviously but very annoying. Good backpackers very quiet, lovely free baked muffins and things in the kitchen. Fireplace in the main area was nice too!